Keep your students naturally engaged with task-based learning! No longer do you need to do a song and dance to keep your students engaged. 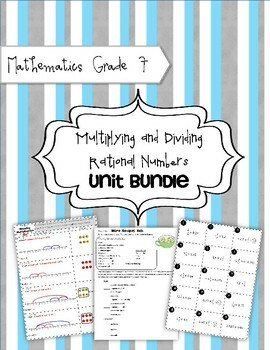 Try the lessons included in this unit and see your students become actively involved in learning math simply because the content is so interesting. 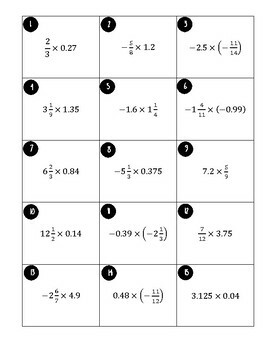 This download includes Tasks, Guided Notes, Activities, Worksheets, and Assessments designed for a Math 7 class to teach MULTIPLYING AND DIVIDING rational numbers. 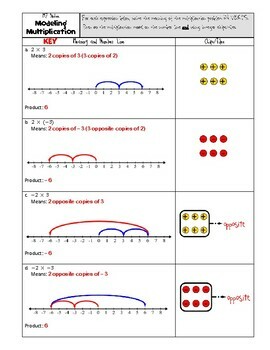 This includes integers, decimals, and fractions and teaches the concepts in such a way as to solidify the multiplication and division concepts by using models and rules with ALL types of rational numbers. Each day of the outline is designed for a 45-minute class period and allows for 5-10 minutes of homework time when homework is given. 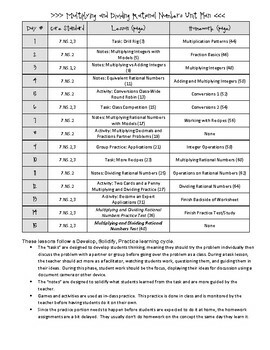 This unit includes guided notes, tasks, and assessments that are all aligned to the Common Core. This unit includes pages to be copied and given to students as well as teacher's pages with answers and teacher notes to ensure that the lesson is successful. I promise your students will love them!